Dr. Eric Dovichi is a well-known interventional radiologist in Walnut Creek, California. He received the medical diploma from the Keck School of Medicine of USC in 1996. After getting his medical degree, he did an internship in internal medicine at St Mary's Hospital Medical Center. Dr. Dovichi completed his medical education with a residency in Radiology and a fellowship in vascular and interventional radiology at Stanford University School of Medicine. He is certified by the American Board in diagnostic radiology and his subspecialties are general radiology, vascular & interventional radiology. 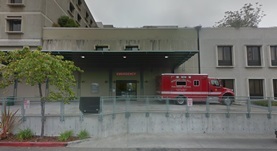 Currently, he is affiliated with multiple hospitals in the area, including Alameda Hospital, Alta Bates Summit Medical Center, San Leandro Hospital and John Muir Medical Center. He was awarded the honor Top Doc/ Top MD by Consumers Checkbook. In 2006, he published the article “ Progressive asymptomatic occlusion of a TIPS in a patient with Budd-Chiari syndrome ” in collaboration with other doctors. Dr. Eric Dovichi has contributed to 1 publications. Progressive asymptomatic occlusion of a TIPS in a patient with Budd-Chiari syndrome. Sze, D. Y., Frisoli, J. K., Macksood, D. J., Dovichi, E. A., Ahmed, A., Keeffe, E. B.; J Vasc Interv Radiol. 2006 Apr.